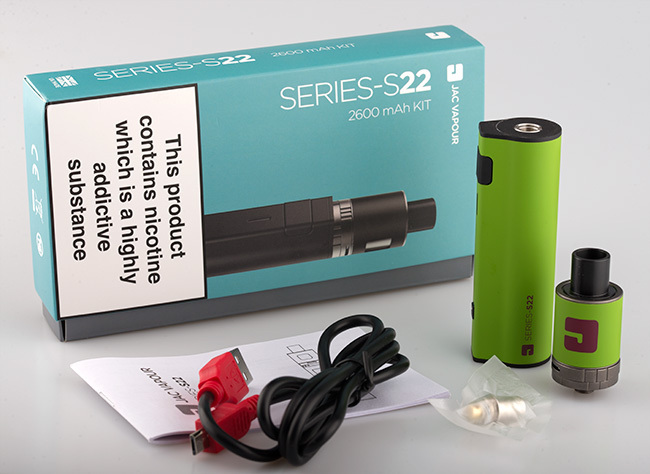 The Series-S22 is the latest e-cig kit from Edinburgh based company Jac Vapour. 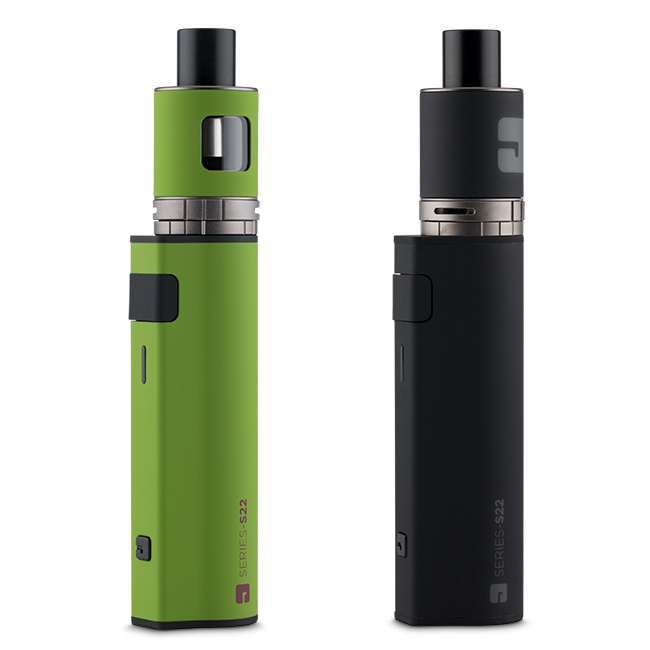 It has many similarities to the Halo Tank 02/Jac Vapour S-17 kit but features a much higher capacity battery and comes with the S22 tank which is larger in size (still 2ml) than the S17 tank and has a wider drip tip. 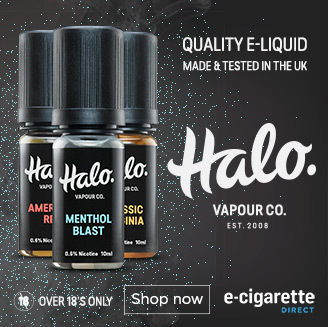 Although on their website Jac Vapour build it up as a mouth-to-lung vape aimed at beginners, with a simple change of the coil to the 0.5DL coil (sold separately), it offers the flavour and cloud production to satisfy the needs of a more experienced vaper. Who’s the Jac S22 for? 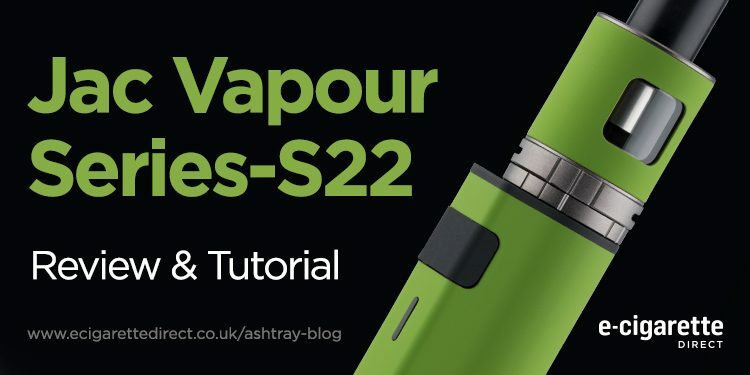 The S22 is perfect for people who are new to vaping and want an incredibly easy to use device, whilst having the quality usually reserved for more complicated and more expensive kits. It is also ideal for someone who has already been vaping for a while and is now looking for a backup device or something small and discreet to take out and about with them. Colour of the light under the fire button indicates the level of charge: Green – Between full and half charge, Blue – around half charge, Red – low charge (Will also flash red to indicate battery is completely flat). Upon opening the box, I was pleasantly surprised by the appearance of the S22 kit. I had the matte black version (also available in green), and the rubber oil finish looks and feels very classy. It’s tactile enough for you to feel safe that it isn’t going to fall out of your hand, whilst at the same time feeling smooth and nice to hold. It looks very sleek and stylish and has a very minimalist design which I think makes it stand out in a market that is flooded with ‘bling’. There is no rattle from the device and the fire button has a very satisfying ‘click’, so overall the build quality seems superb. Jac Vapour do say on their website that it is meant to withstand drops, but as I only had one for the purpose of this review, I didn’t test this out! The only extra that I would have liked to see would have been a spare coil in the box. When you are new to vaping it is very easy to burn a coil out by mistake and seeing as Jac Vapour are aiming this at beginners it would have been a nice touch to get a spare. To get the most genuine experience I could, I installed the 1.0 ohm MTL coil that came with the kit. I filled up with my favourite 50/50 liquid, Halo Apple & Apricot 12mg, and fired it up. I found the flavour to be more than decent and that it also produced a fair amount of cloud. Obviously this set up isn’t going to compete with sub-ohm tanks but compared to similar kits I think it performs well. I found that the coil performed better after half an hour or so of use but it isn’t uncommon for coils to have a ‘breaking in’ period. 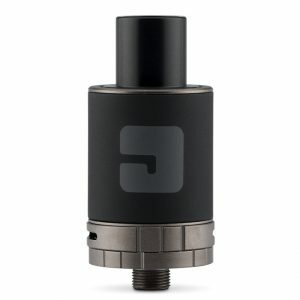 It does have quite a large drip tip compared to your typical MTL vape but Jac Vapour do sell an adapter which means you can use your own prefered drip tip. I used it with an MTL coil for about 1 ½ days and the power light still hadn’t gone red so I was very impressed with the battery life. With the 0.5 DL coil I was very satisfied with the flavour I got. I would have liked just a tad more airflow but it still produced a sizable cloud. With the DL coil it does use up more juice, but not so much that it becomes unreasonable. The one thing I did find is that when the battery fell to less than half charge, the lack of power meant that I was having to puff it for 5-7 seconds to get the same cloud and hit as I was when taking a 2-3 second drag with the battery at full charge. I did notice it slightly with the MTL coil but nowhere near as much as I did with this coil. The battery life is also reduced when using this coil. When putting it through its paces the light turned blue indicating half charge after about 4-5 hours (However this may not be a true representation as for the purpose of this review I was using it more than I usually would be). The S22 does charge rather quickly though and can go from flat to full in 2 ½ hours. It also has pass through charging so you shouldn’t find yourself struggling with battery life. 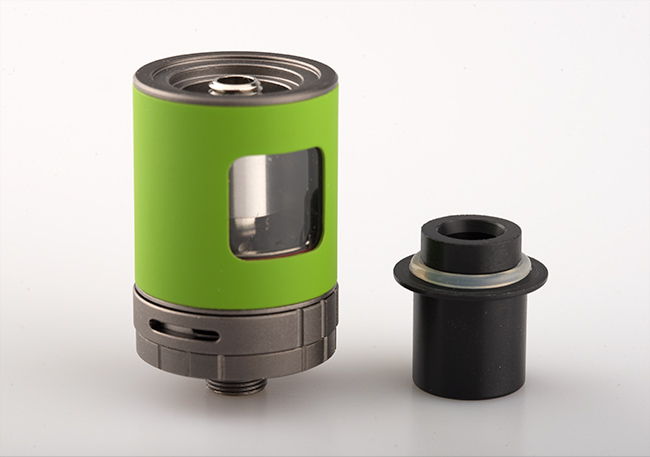 Fill up to the top of the glass, and you are ready to vape! Ensure the tank is topped up with liquid, leave for 10 minutes so the liquid can soak into the coil, and vape away! 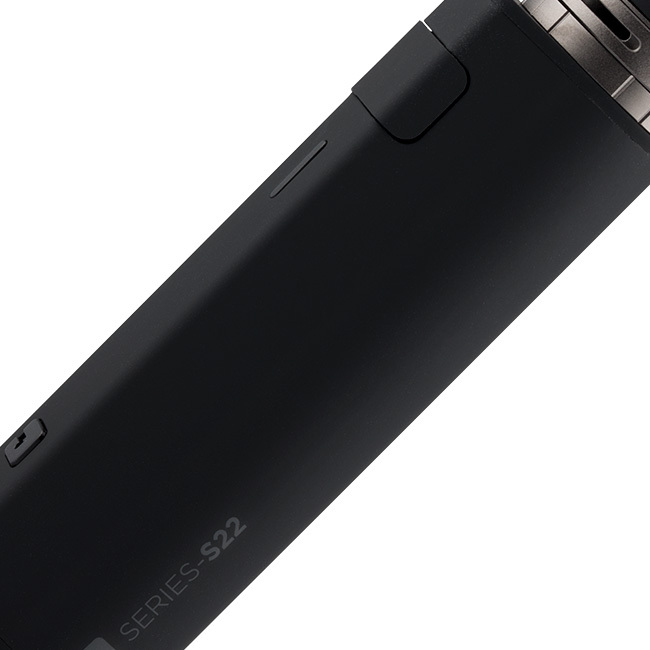 The S22’s simple design and ease of use makes it perfect for those who are looking to get off the cigs but don’t want the hassle of a more complicated device. As well as this, the high build quality and great vaping performance you get from it means that if you are already an intermediate vaper this kit could be your perfect on-the-go vape. I would prefer it if the power drop off when the battery gets to less than half charge wasn’t so severe. Having said that, you don’t notice it that much with the MTL and with the DL you can combat it by taking a longer drag, so it isn’t a massive issue. The battery life, charging time, flavour and vapour production are all very good. 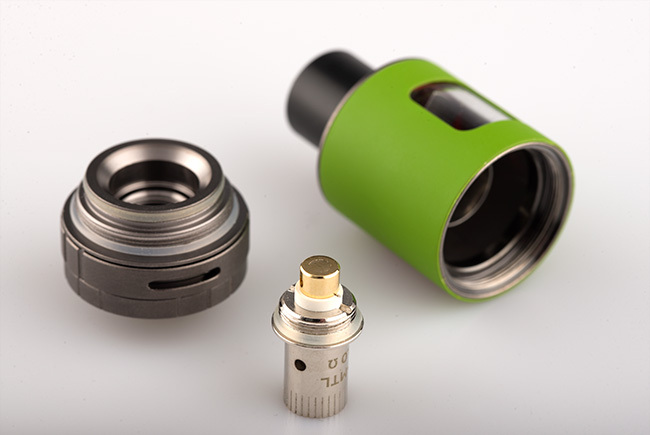 Coil changes and refills are a simple and quick process. Without standing out in one particular category, the S22 manages to be a great all-round performer.